We hope you enjoy our pick of activities to get you out and about in Cornwall during March and April. 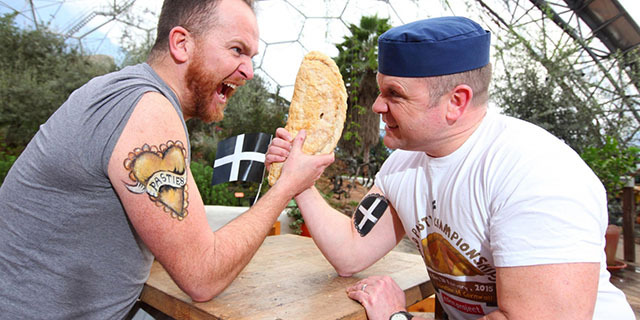 Saturday 5 March, St Piran’s Day, sees the annual World Pasty Championships return to the Eden Project. The event is free (with valid Eden admission), with comedy from Kernow King and live music including the Fishermen’s Friends and Seth Lakeman. On Sunday 13 March dog lovers should head to the Eden Project for a special dogs’ day out. There’ll be dog obedience displays, a duck herding demonstration, Canicross, and a fun dog show which is free for all to enter. Categories include cutest puppy, scruffiest scruff, happiest dog, waggiest tail, softest ears and dog who looks most like their owner. 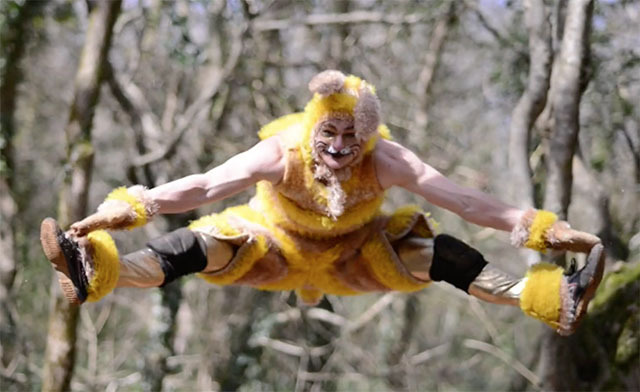 For other events, including Easter activities between 25 March and 10 April, the Wellcome Image Awards exhibition from 16 March to 31 May, and yoga in the biomes on 16 and 17 April, visit their website. 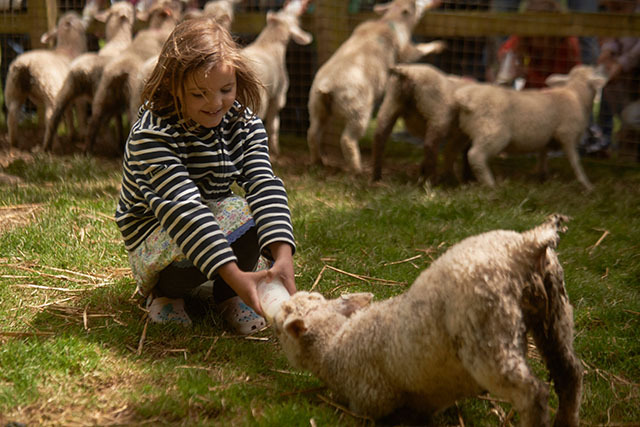 Easter egg hunts, face painting, nature treasure trails and a special visit from the Easter Bunny on Easter Sunday are just some of the activities taking place at Camel Creek Adventure Park, formerly Cornwall’s Crealy, during the Easter holidays. The whole park will be open daily from Friday 25 March, with special activities taking place over the Easter break until 10 April. The entry price for children over 92cm is £19.95, and £9.95 for adults. Children under 92cm are free. Family tickets are available, and a 20% discount will be applied for online bookings. From 7 March to 30 August Truro’s Royal Cornwall Museum will be showing an exhibition about monsters and how they have played a part in human culture from the earliest civilizations to the present day. There are two family days – Monsters’ Day on 30 March and Dragon Day on 23 April. For full details visit www.royalcornwallmuseum.org.uk. On Monday 21 March Dr Jayne Wackett will give a lunchtime talk entitled “Everywhere you look: Monsters of the Middle Ages”. Tickets are free, book online. Land Rover enthusiasts will love the Defender Day at Pentillie on Sunday 20 March, a celebration of all models from the Series 1 to the latest Defender. There will be a Land Rover display of interesting vehicles, an off road drive (in your own Defender) through the woods of the estate, representatives from the 2016 Land’s End to John O’Groats Challenge, clay shooting, segways, paint ball, plus lots more fun for the family, and refreshments available on site. Advance tickets £20 per vehicle – book online – or tickets on the day are £25 per vehicle. For more information please call 01579 350044 or e-mail [email protected]. Each day in March you can join the primrose-themed family trail at National Trust property Godolphin near Helston. Pick up a fact sheet about primroses from the potting shed. On selected days they will also be running activities such as making crystallised primroses, or pictures with paper primroses. 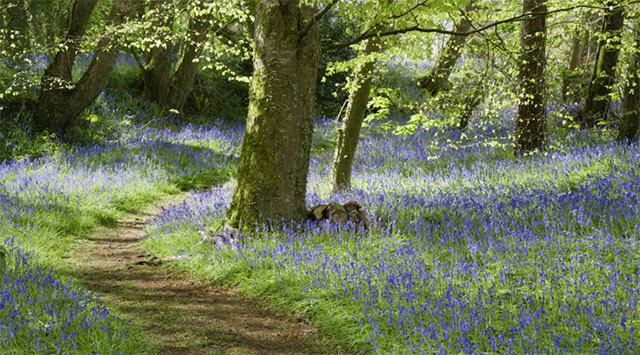 From 15 April join the bluebell walks and talks, as well as a family trail. On selected dates, you can listen to a talk about bluebells or take part in craft activities, and pick up a map showing you the best route to see the bluebells. The activities are free, but standard admission charges apply. Subtitled “An unforgettable evening of stories from the edge”, Ray Mears comes to the Hall for Cornwall on 21 March to entertain and inspire his audience with stories of fellow human beings and the incredible circumstances they have overcome. Be prepared to be shocked, amazed, and inspired. Tickets are priced at £22 (concessions available) and can be purchased online. From 10am to 5pm, 25 March to 10 April, enjoy the Easter Events at The Lost Gardens of Heligan. All activities are free with garden admission. Search for the hidden turquoise emu eggs in the Pleasure Grounds and Northern Gardens in “The Great Emu Egg Hunt”, and at the end meet resident emus Queenie and Edmund before receiving a prize. In the Steward’s Garden you can make paper spring flowers and decorate eggs, take part in an egg and spoon race, play “hook a duck”, and more. The Heligan Hatchery is well stocked with eggs, and you may see chicks and ducklings hatching. Guests are invited to help feed the chickens in the Poultry Orchard at 12 noon every day. You can also learn more about the rare breeds of poultry kept at Heligan. On Easter Monday, 28 March, there will be a Point-to-Point at Trebudannon near St Columb Major. If you haven’t attended a Point-to-Point before, then here is a very good Beginner’s Guide to Point-to-Pointing, explaining the format, what to bring, etc.. Basically, it’s horse racing over fences, with betting, and makes for a fun day out, especially if your horse wins. We love Rogue Theatre, and their next play looks gorgeous. Wild Spring Hare is “an adventure for spring, an eruption of imagination and possibility, a twisting of paths, a collection of tales and a quest for life’s hidden treasures”. The adventure takes place in Tehidy Woods, and begins with an Easter trail through the woods, collecting clues and following the Wild Spring Hare to meet the Woodland King. There are three performances every day (1pm, 3.30pm and 6pm) from 25 March to 3 April. All tickets are £7.50, 3 years and under are free. Book tickets online. The Surfaced Pro is a pioneering surf competition which puts equality at the heart of the sport. The competition will be held on Saturday 16 and Sunday 17 April at Watergate Bay and it will be the first date on the UK Pro Surf Tour for 2016. Returning for the fourth year, Legend of the Bay brings together stand-up paddle boarders (SUP) and kitesurfers for one big weekend of high-adrenaline water sports. 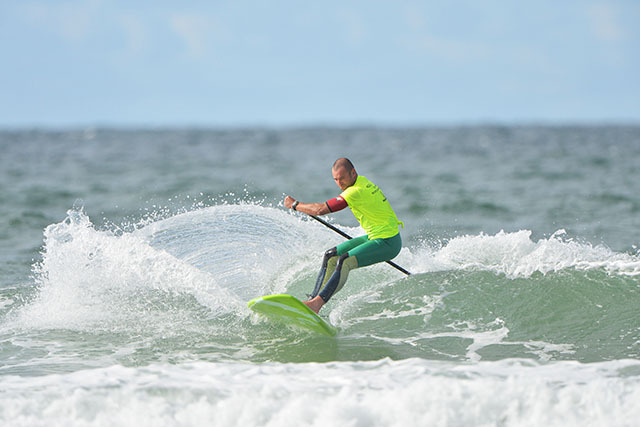 As a collaboration between the British Stand Up Paddleboard Association (BSUPA) and the British Kitesports Association (BKSA), the event attracts some of the best wave riders in the UK, all vying to be crowned legend of the bay – awarded to the competitor with the highest combined score from both sports. The event will be held on 23 and 24 April. For more information visit www.extremeacademy.co.uk. Between 25 March and 10 April children can follow the Voyaging Vikings Trail around Falmouth’s Maritime Museum, searching the museum to find the things they need to become a Viking voyager. Each day there’ll be a creative craft activity (adult supervision required) and all activities are free with museum entrance ticket. For more details visit website. 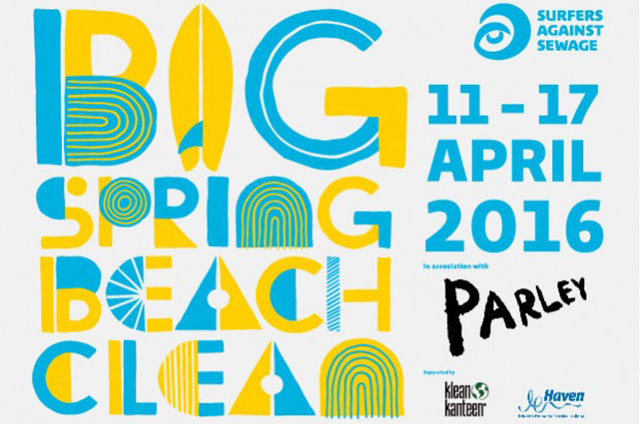 Please take part in the Big Spring Beach Clean, organised by Surfers Against Sewage, between 11 and 17 April. You are invited to register your favourite beach for a community beach clean, and over 7,000 volunteers are expected to take part in beach cleans in over 200 locations across the UK. For a list of registered beaches in your area, visit the Surfers Against Sewage Events Page. 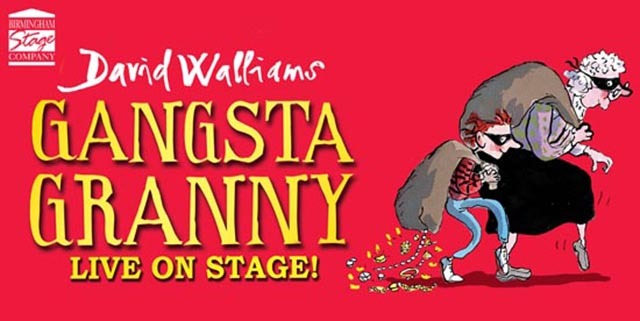 The stage production of David Walliams’ brilliant story, Gangsta Granny, comes to the Hall for Cornwall from 13 to 17 April. There will be a post show Q&A session after the matinée on Thursday 14 April. Tickets start at £16.50, with a family pack available for £57, available online. ART WORKSHOPS AT TRURO ARTS CO. There are regular art workshops at Truro Arts Company, of which two in particular caught my eye. On 6 April Sarah Jane Humphrey is teaching botanical illustration. She will guide you through drawing beautiful flowers and foliage with precision and poise. All abilities welcome. 10am to 4pm, £45. 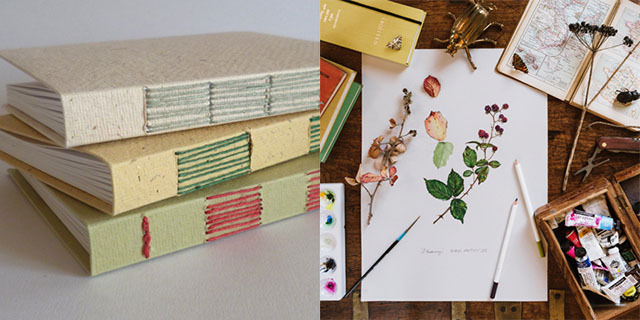 Make two books on Megan Stallworthy‘s bookbinding course on 25 April. All materials and equipment will be provided for you to learn bookbinding skills using handmade and patterned papers and different sewing, folding and glueing techniques. 10am to 4pm, £50. For details of all upcoming workshops visit www.truroartscompany.co.uk. There are free gallery tours at the Barbara Hepworth Museum, daily at 1pm. Barbara Hepworth is regarded as one of Britain’s most important twentieth century artists. Sculptures in bronze, stone and wood are on display in the museum and garden, along with paintings, drawings and archive material. An Art Pass gives you seven days unlimited access to Barbara Hepworth Museum and Sculpture Garden, the Leach Pottery and Penlee House Gallery and Museum. £10/£7 concessions, available from all participating venues. John Howard Print Studios in Penryn is running a printmaking course from 4 to 8 April. Learn how to use the printing press, get to grips with lino or explore the possibilities of etching and drypoint. John is a brilliant teacher and the studio has a really relaxed atmosphere (you can expect cups of tea on tap and chilled out music), making these courses perfect for beginners. £285 for the five day course, or £65 per day. Find out more at www.johnhowardprintstudios.com. We love to hear from you, so if you know of any exciting, interesting, unusual or entertaining activities in March and April please feel free to comment below.